TNCS Honors Dia de los Muertos! 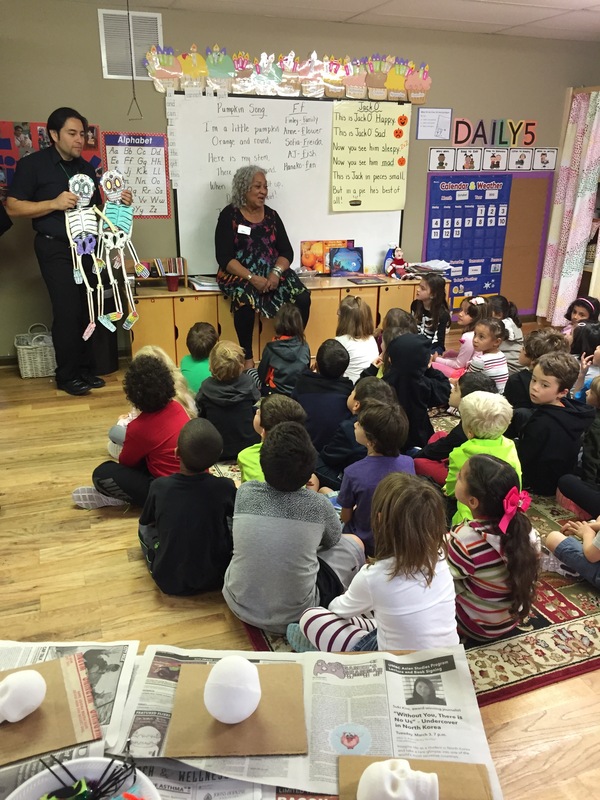 Mary from Maja gave a presentation to the students about how Day of the Dead originated and what it symbolizes. 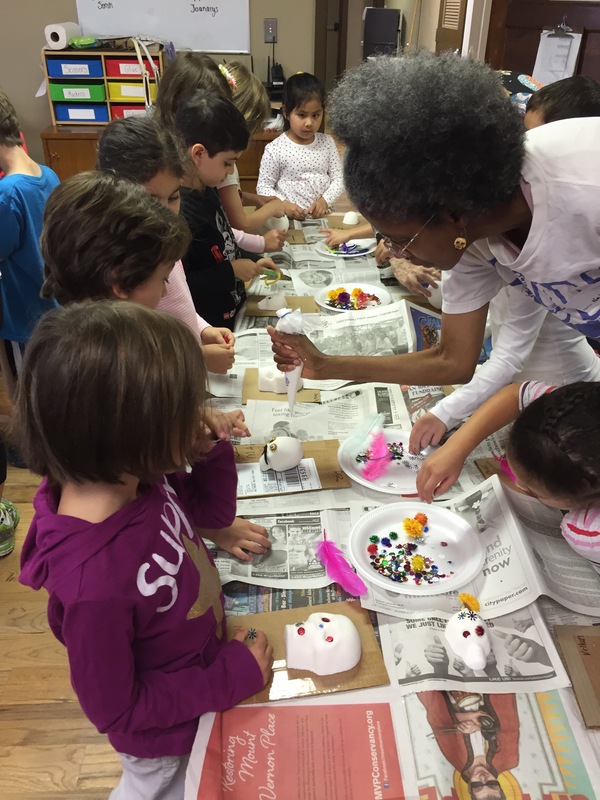 In keeping with the school’s core strength of exploring cultural heritage and traditions around the world, The New Century School students learned all about Dia de los Muertos this month. Known as the Day of the Dead in English, this Latin American holiday honors deceased loved ones each November 1st with lively festivals and celebrations. Rather than being morbid, this celebration is full of happiness and joy because those who have passed on would be insulted by mourning or sadness. Dia de los Muertos recognizes death as a natural part of the human experience, a continuum with birth, childhood, and maturity, to become a contributing member of the community. On this day, the dead are also a part of the community, awakened from their eternal sleep to share celebrations with their loved ones. The handmade altar in Maja’s storefront is beautiful. The most familiar symbols of Dia de los Muertos are the calacas and calaveras (skeletons and skulls), which are almost always portrayed as enjoying life, often in fancy dress and engaged in entertaining activities. These can be seen everywhere, but especially gracing the altars or shrines that many make on which to place offerings of, for example, food, candles, incense, marigolds (the traditional flower used to honor the dead), and photos and mementos of departed souls. The ladies from Maja are true artists and passed on some of their craft to TNCS students. This is fun waiting to happen! 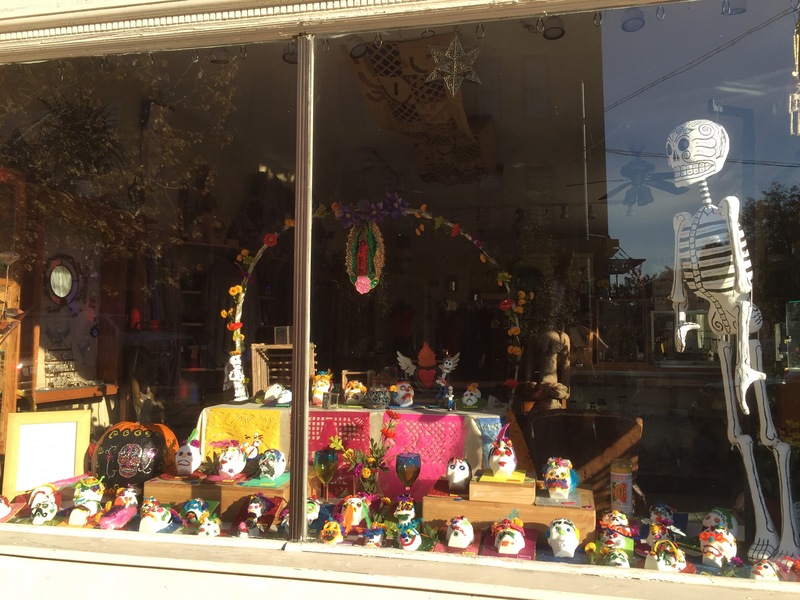 For this year’s Dia de los Muertos, TNCS students joined forces with Maja, a Fell’s Point boutique featuring “an international collection of clothing, jewelry, artifacts, home decor, crafts and music” to craft a special Day of the Dead display. 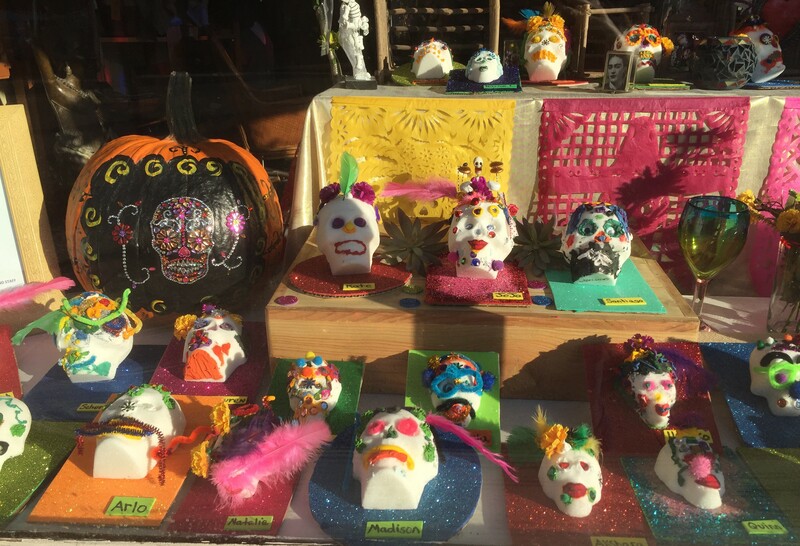 The ladies who own and run Maja visited TNCS’s K/1st classrooms to collaborate on a sugar skull–making workshop, and the grinning, glittering, feathered, festive results can be seen in front of Maja’s altar, located on the corner of Aliceanna and Ann Streets and visible from the store windows. Maja’s unique celebration will culminate with an in-store party with “sweets, treats, laughter, music, and stories” from 3:00 pm to 6:00 pm on Sunday, November 1st. A Frida Kahlo lookalike contest is also on the itinerary—not to be missed! This little artist clearly has a future in design! To ensure safe passage whence he came, this dearly departed soul gets outfitted with some new specs. Adding the finishing touches . . . The finished products were left to set and dry before being transported to Maja for display. Can you spot your child’s sugar skull? 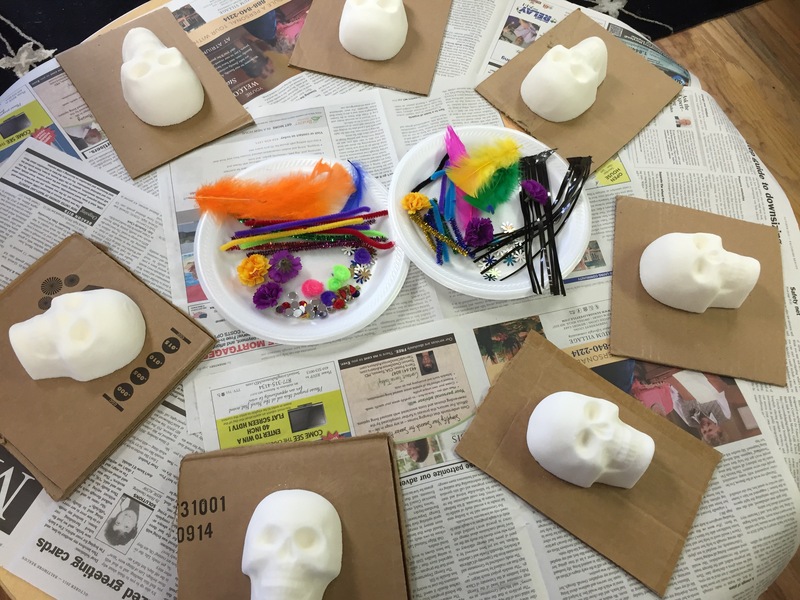 After making their sugar skulls, TNCS students watched The Book of Life (in Spanish, ¡por supuesto! ), which takes place during a Day of the Dead celebration and emphasizes the importance of writing a good story for your life—fulfilling your potential, in other words. Once the sugar skulls were dry, they were taken to Maja, where you can drop by and see them . . . and maybe even leave a memento on the altar for a departed loved one. That “recoil” is understandable, given that maternal instincts are to protect, not arm our children with implements of self-destruction. But, as Gupta discovers, allowing small children to wield real tools is a means of attaining self-efficacy, something that kids these days urgently need. 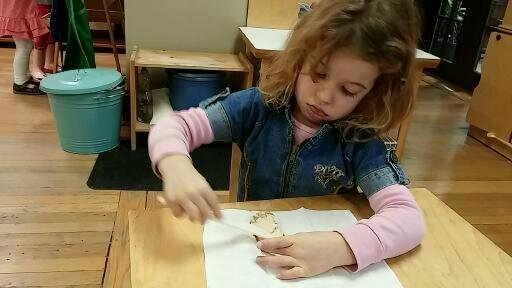 A TNCS primary student carefully spreads hummus on mini toast. Once the children demonstrate responsible spreading, they can move on to slicing, starting with softer foods and progressing to firmer fruits and vegetables. “We always stay nearby, but trust that the children are capable,” said Ms. Mosby. 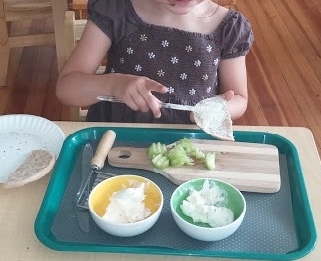 A TNCS primary student cuts cucumbers, slices bread, and spreads cream cheese to make a cucumber sandwich. So, as Gupta says, “Go ahead and give your toddler a kitchen knife.” You might just get breakfast in bed from your aspiring cheflets. The Most Important Partner: You! Education reformists are clear that cooperation between school and home is essential to meeting a child’s needs, and parent involvement is where that connection is made. From volunteering to participating in school events, each TNCS family is a member of our diverse community and a partner and stakeholder in our students’ success. 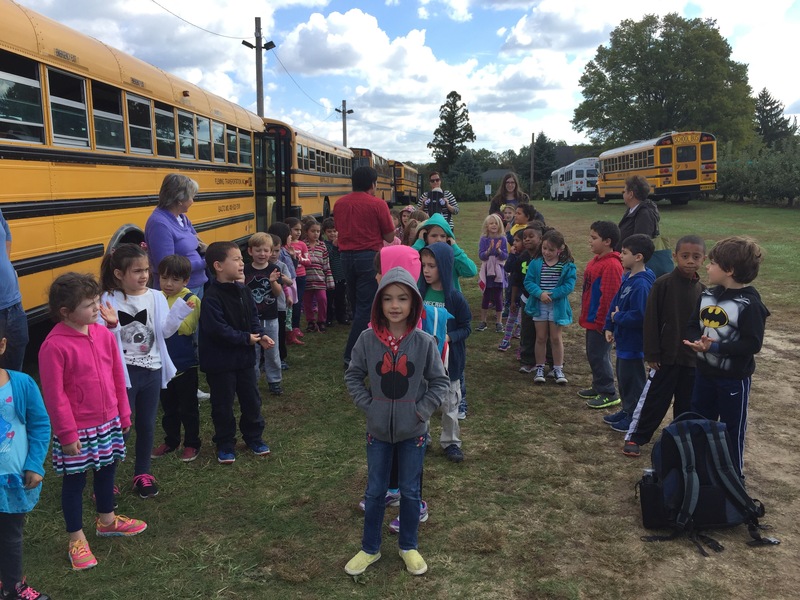 With the school year back in full swing, transitions and boundaries ensue on everything from bedtime routines to extra-curricular interests, and the involvement in your child’s classroom community. I started to think about how all of these parental responsibilities come down to one word—partnership. We all make partnership choices for ourselves and the ones we love. We partner with our spouse, our children’s teachers, colleagues, coaches, tutors, leaders, camps, friends, family members, caregivers, and the list goes on. To me, partnership is defined as “I have your back and you have mine.” “We are in this together” with similar understanding that respect and honesty will pursue. The many synonyms that come up online when I search the word “partnership” also deepen and add nuance to this basic definition: cooperation • association • collaboration • coalition • alliance • union • affiliation • relationship • connection. Learners that are influenced daily through world language and culture. Curricula that are inquiry based, hands-on, and exploratory. A safe, supportive, nurturing community for the entire family. Character development in every aspect of the day that embraces and demonstrates respect and empathy. Individualized instruction based on student need that fosters Independence and self motivation to learn. I invite you to visit this link to explore additional articles, videos, and other resources to help you participate in and contribute to your child’s educational milieu and a rich and meaningful partnership with TNCS. Because it’s true—you are the most important partner in your child’s education. I look forward to engaging with you to fulfill and go beyond your expectations. TNCS Performs at Continental Bridge Celebration! In 2015, Baltimore City marks the 30-year anniversary of its sister city relationships with Xiamen in China and Rotterdam in the Netherlands. To celebrate this momentous occasion, the Creative Alliance hosted a Chinese and Dutch art exhibition as well as an event to explore these cultures through various art and movement workshops and performances on September 26th. Xiamen is home to many U.S. companies and, as a port of call for international merchant ships, is the heart of Chinese trade with Baltimore City. The New Century School elementary students were there to support the Baltimore–Xiamen Sister City Committee by singing two Chinese songs and performing one dance. BXSCC ” . . . has been and continues to be an active sister city creating opportunities in Baltimore City and Xiamen, China for business, education, and cultural exchanges” for the past 30 years. 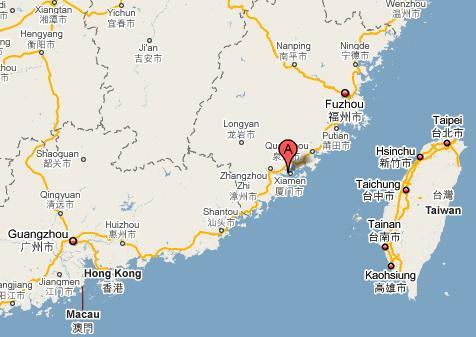 Xiamen is in China’s Fujian Province, along the southeast coast and is a port city like Baltimore. Education Chair Vida Willis was on hand to express her appreciation for TNCS’s continued participation in BXSCC initiatives. With her customary warmth and graciousness, Ms. Willis presented TNCS with a series of Mayoral Certificates, including students, teachers, staff, administration, and even parents in her commendations. BXSCC’s Vida Willis even included TNCS parents in her expression of gratitude! Yangyang Laoshi and Li Laoshi display their official certificates form Baltimore Mayor Stephanie Rawlings-Blake. TNCS students pose with BXSSC’s Vida Willis after their great song and dance performance. Baltimore’s other sister cities include Piraeus, Greece; Kawasaki, Japan; and Alexandria and Luxor, Egypt. And now, what you’ve all been waiting for—the performance!